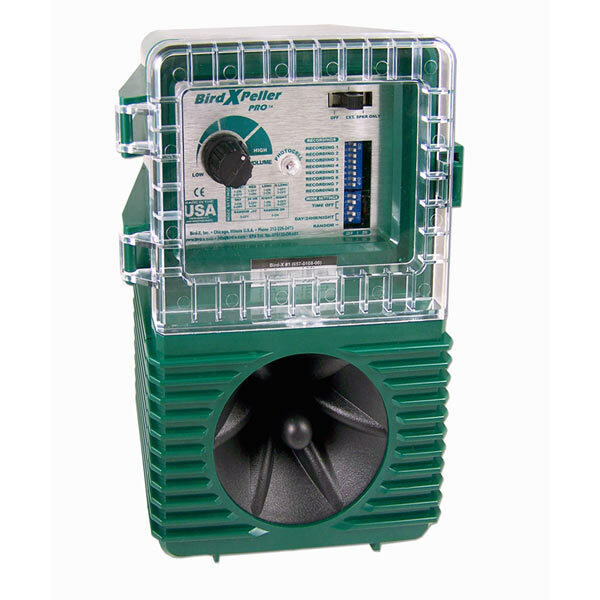 BEST SELLING Sonic Bird Control System! 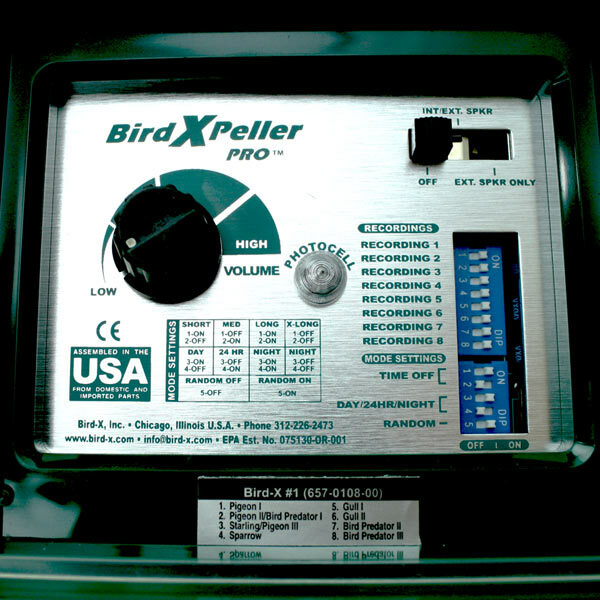 BirdXPeller Pro is a programmable "species-specific" electronic bird repeller. Ideal for getting rid of pigeons and most other birds! 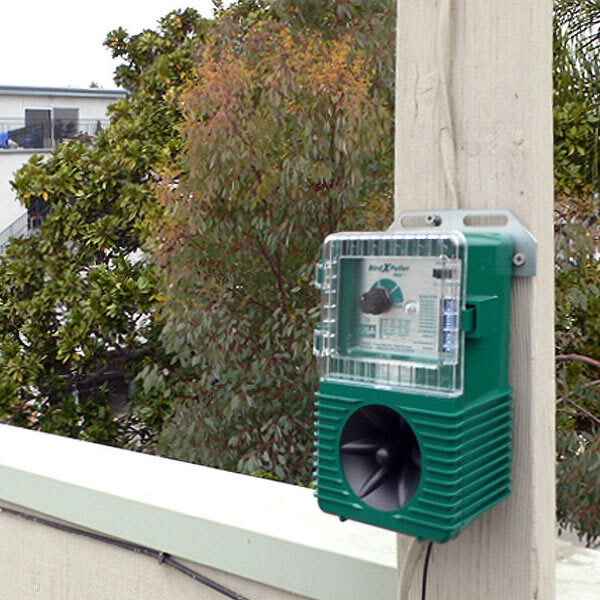 The sonic bird repeller uses birds' own distress calls to create a "danger zone". It covers up to an acre at full volume, in a long oval dispersion pattern. Choose from any or all of 8 sounds, including true-to-life sounds of real predators that confuse and frighten the birds away! 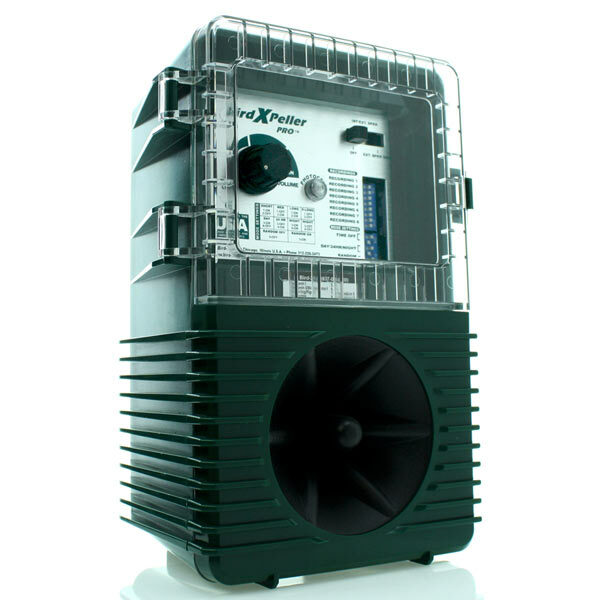 Sonic bird repeller that uses real bird and predator sounds. Clear & high definition digital playback sounds. 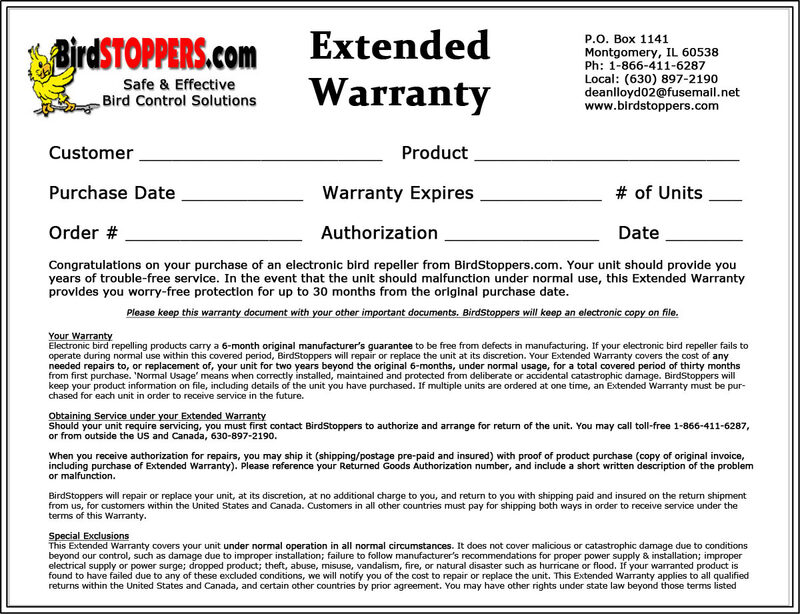 Customizable settings allow for ease of operation and greater success. 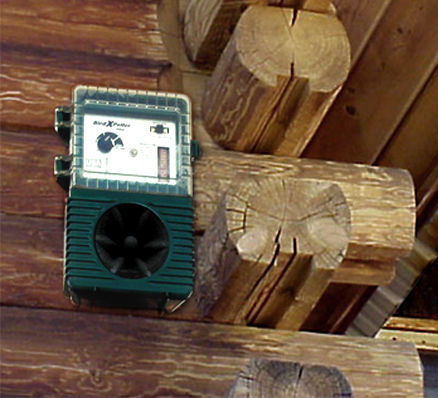 Sonic bird deterrent Installs easily with included mounting bracket. Runs on standard 110v outlet. 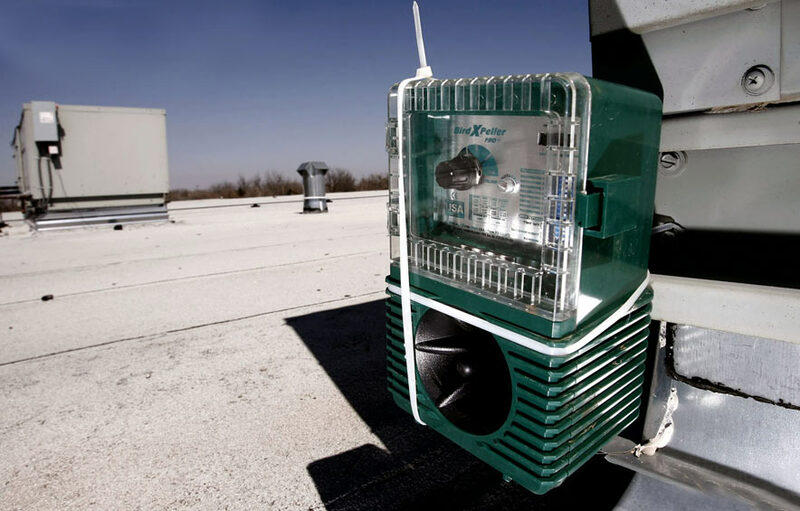 3 "species-specific" sonic bird repeller models to select from. Box dimensions 12" x 7" x 6"
Shipping weight (Ships from Chicago) 3 lbs. Power Cord Length 110v cord is 50 ft. / 220v and 240v cords are 6 ft.
240v adapter option UK style pins only. Unit will work with locally sourced 12v/240v adapters.